Do I Need 350z Lowering Springs? Most Nissan 350z owners lower their car for cosmetic reasons. They want their car to look cooler. Lowering springs are good for this as they are usually the cheapest way to lower a Nissan 350z. 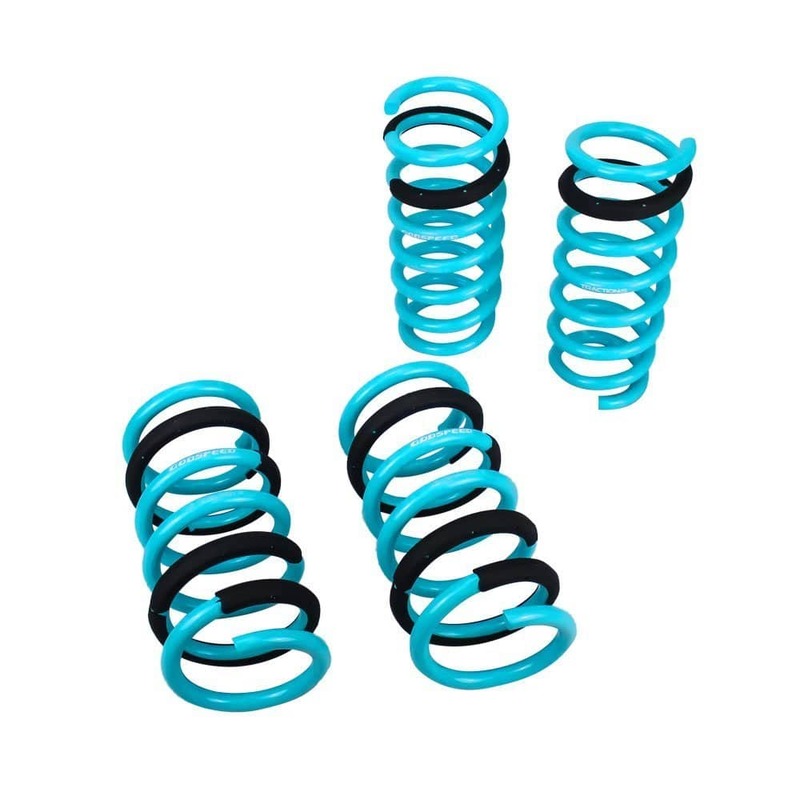 These springs make your car sit lower to the ground simply due to being shorter than OEM springs. But they have other benefits too. Since your car is lower to the ground, so is it’s center of gravity. This lower center of gravity will give your Nissan 350z better handling, faster cornering and all around more control. You can overdo it though – go too low and your car’s handling will get worse. Lowering springs also stiffen the ride of your car. If your local area has harsh road conditions, we do recommend a set of coilovers instead. We wouldn’t say the Nissan 350z was “high” from the factory, but it could have been lower. Spring rate is a measure of softness of a spring. The lower the spring rate, the softer the spring. The softer the spring, the smoother the ride. Therefore, higher spring rates will make your car stiffer, stronger, and typically give you better handling. Of course, you don’t want to go so stiff that your Z is no longer enjoyable. 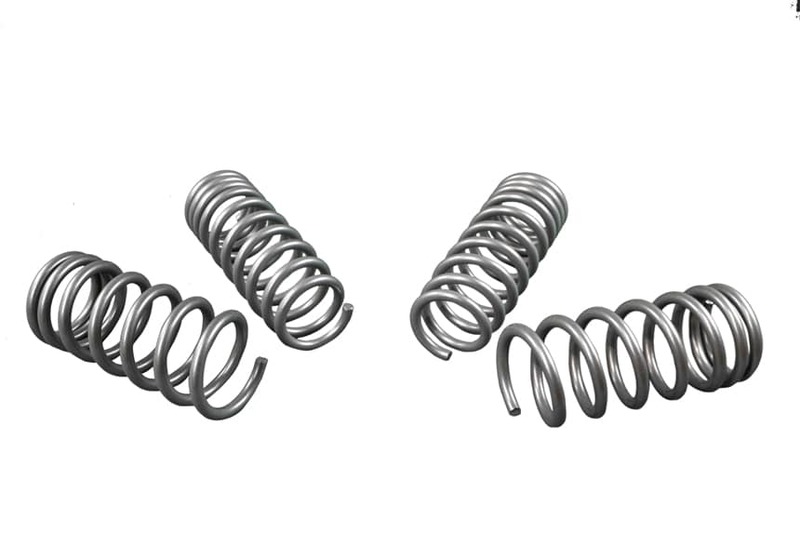 We recommend a small increase over your standard springs. All stock Nissan 350z models (Z, G coupe and G sedan) come with sport suspension that has a spring rate of 314 lb/in at the front, and 342 lb/in at the rear. In the entries below, spring rates higher than 314 lb/in in front and 342 lb/in in rear will mean your ride will be stiffer. These springs are inexpensive, but in terms of lowering springs, price doesn’t always dictate quality. These springs give you the cheapest and what some feel is the best way to lower 350zs of all model years. The Godspeed Traction-S springs are some of the best value lowering springs you’ll find for a Nissan 350z. They’re designed to work with OEM shocks and come with a limited lifetime warranty on material defect and craftsmanship. 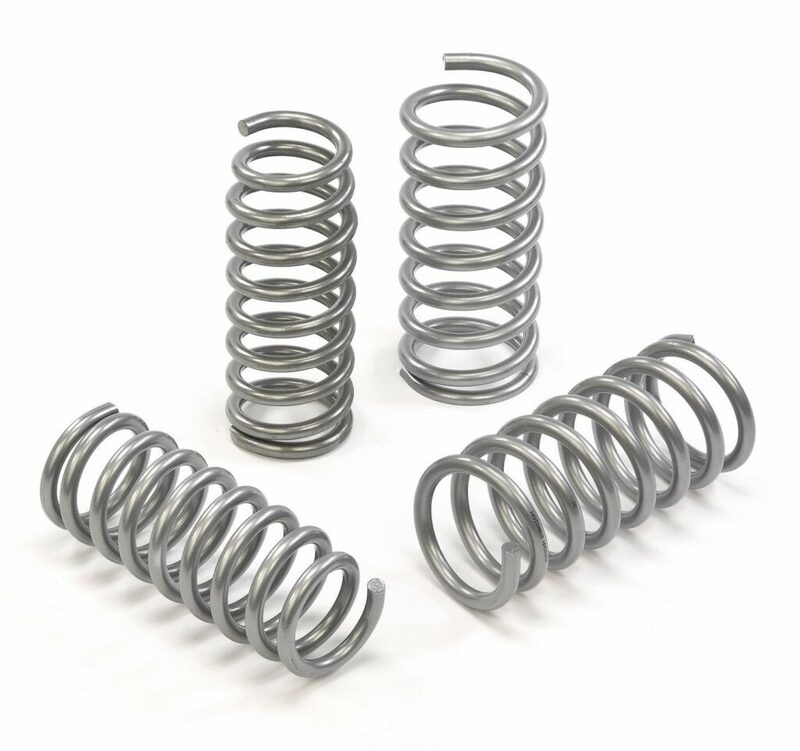 The powder coat finish on these springs protects against corrosion, while the multi-heat treated wire helps prevent sagging over time. 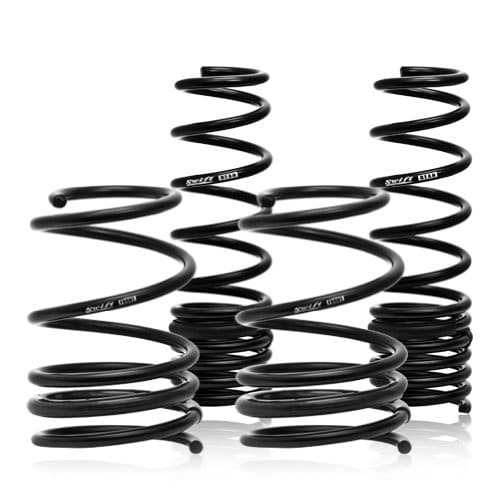 These springs are smooth, while keeping your car firm over bumps on the road. Your car will feel more centered and planted, and you can take turns faster with confidence. They are not bouncy at all. The S.Tech lowering springs from Tein are progressive springs with a low front and rear spring rate, made to work with OEM shocks. The S.Tech spring length is guaranteed to not sag more than 5mm (0.196 inches). The 1-year limited warranty protects against defects and sag, deformity and noise, but not the powder coat finish or rusting. With the rear drop height not as steep as the front, some Z owners will replace the rear spring insulators with bushings that’ll lower the rear another 0.3- to 0.5-inches, to match the front height drop. It’s all personal preference. Tanabe’s Sustec GF210 springs are some of the best 350z lowering springs on the market due to their tensile strength. The “210” in their name stands for 2100 n/m of tensile strength, the highest strength ever achieved in a coil spring. This strong, thin, light spring has around slightly higher spring rate than stock springs, firming up handling and stability a little, but making them a great addition to those who still want a very comfortable car..
You’ll see a subtle improvement in looks, performance, cornering, and handling with these installed. If you aren’t on a tight budget, there are some other options we feel are very worth considering. Quality lowering springs don’t just give your car a nice drop, they are quieter, get more testing, and they are designed to match your OEM shocks. It’s not that the cheaper springs above are bad – it’s just rare for as much attention to be taken during development and production. Whiteline’s 350z lowering springs will only drop your car an inch at both ends, but they’ll definitely make your ride stiffer and more centered on the road. The Whiteline kit optimizes balance and is made to work well with OEM and replacement shocks. The progressive rate coil design improves performance without hurting comfort. Whiteline suggests you pair the lowering springs with their sway bars and “essentials” uprated suspension bushing kit for the “ultimate” upgrade in grip. If you’re looking for the best way to lower your 350z as much as possible, these Eibach Sportsline springs are probably your best bet. 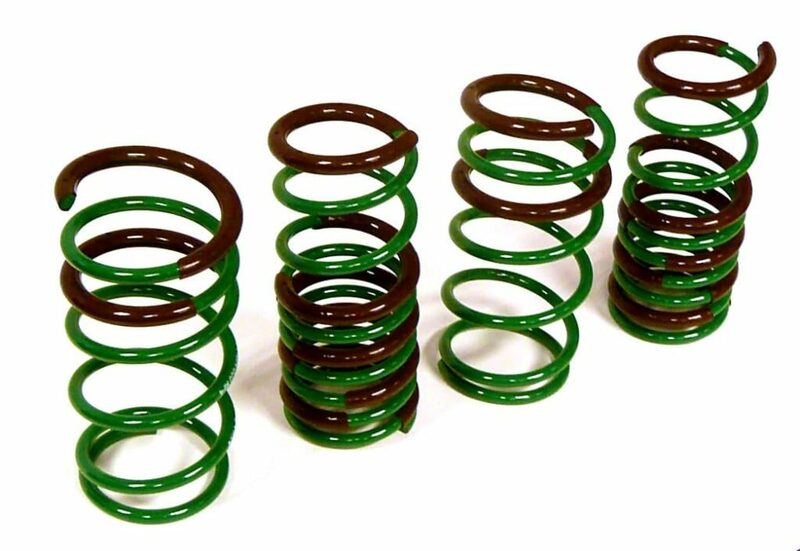 These Sportsline lowering springs use what Eibach call a “precision-engineered” progressive spring rate. The theory is that despite a large drop and higher spring rate, your car will still be comfortable enough for daily duties. 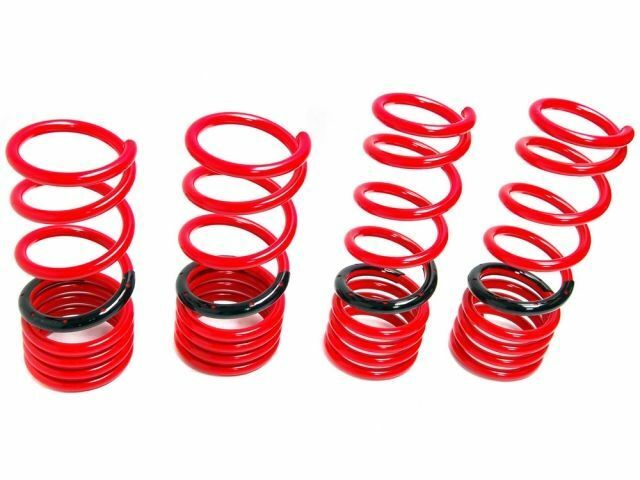 If you’re looking to slam your car with a big drop, but want spring rates that your family won’t hate you for, look no further than Eibach’s Sportsline springs. Hotchkis’ 19413 coil springs are made from cold wound silicon steel with a powder coated silver finish to protect against the elements. They won’t lower your car very much, but they’ll still improve handling and stability. These springs are lower and stiffer than your stock springs, but they’re also a lot heavier. It’s also worth knowing that they are linear, meaning they probably won’t give you as comfortable a ride as some of the progressive springs mentioned in this guide. Swift Springs’ Spec-R are some of the best 350z lowering springs if you’re planning to take your car to the track, club events or do some street drifting (on closed roads of course). These springs are designed on the upper limits of OEM shock valving. 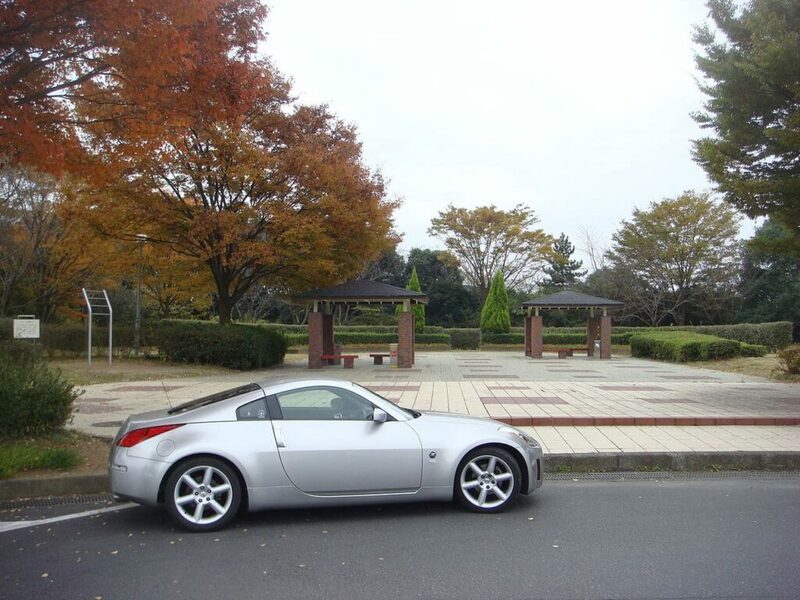 Even though they’re designed for all-out track performance, many Z car owners happily use them on the street. The increased spring rate enhances overall handling. Their proprietary material construction is said to help them to be a bit more responsive to fast changing road conditions, but we think there might be some placebo affect going on there. 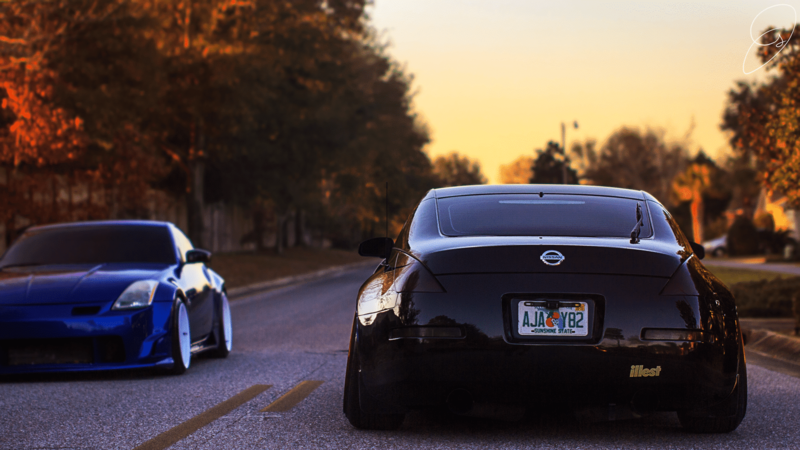 If you’re looking to simply lower your car or enhance the looks of your Z33, lowering springs are a cost effective way of doing so. Cheaper than coilovers, they give you some drop and improved handling without an enormous cost. Tein’s S.Tech springs offer the lowest spring rate of any on this list, by a wide margin, but they’ll still lower your ride height by more than almost any spring. The spring rate is progressive, and they come with a nice 1-year warranty against defects and craftsmanship. Plus, they’re not too expensive. Eibach has long specialized in lowering springs and suspension upgrades, so it should come as no surprise that they’re on this list. Their Sportsline springs will lower your car more than any other on this list, have the second highest spring rates, and will give your car a nice improvement in how it grips the road. 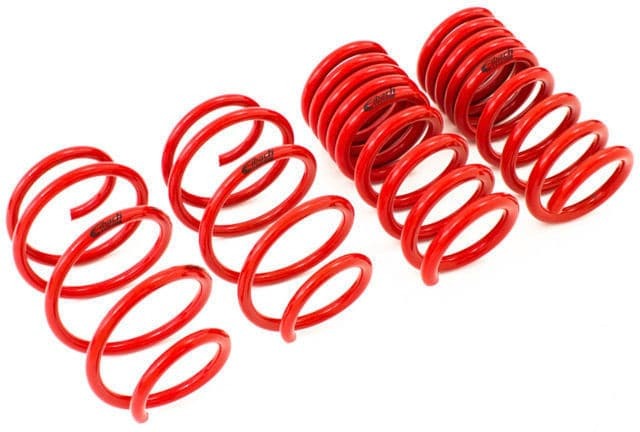 A modest 1″ drop and a small increase in spring rates make these springs your best option if you want to simply improve what Nissan did when they built your 350z. Visually, your car will look a little hotter than a completely standard 350z. When taking passengers they will never feel the difference in ride quality. Behind the wheel however, you’ll get much tighter handling and be able to push that bit harder where the OEM springs would have let you down. Have you installed lowering springs in your 350z? Let us know which ones in the comments below!